The 2 Tone Round Shape Single Bowl in German Silver features an intricate display of design work, which perfectly complements the dual tonal scheme present Read More..on its body. 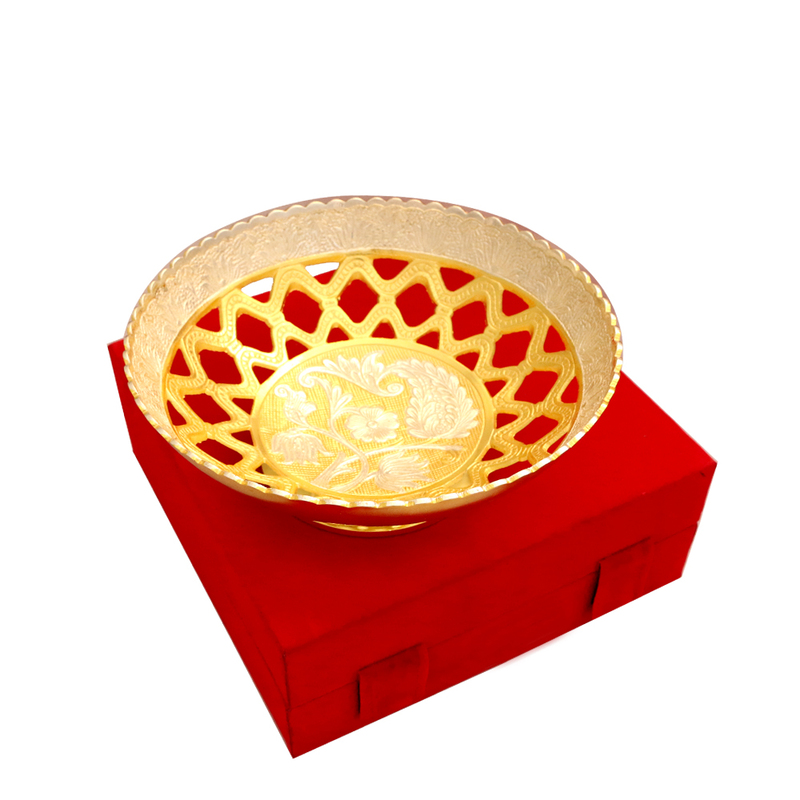 The warm golden hue contrasts lavishly with the dazzling silver tone to make this dessert bowl a pleasure to behold. 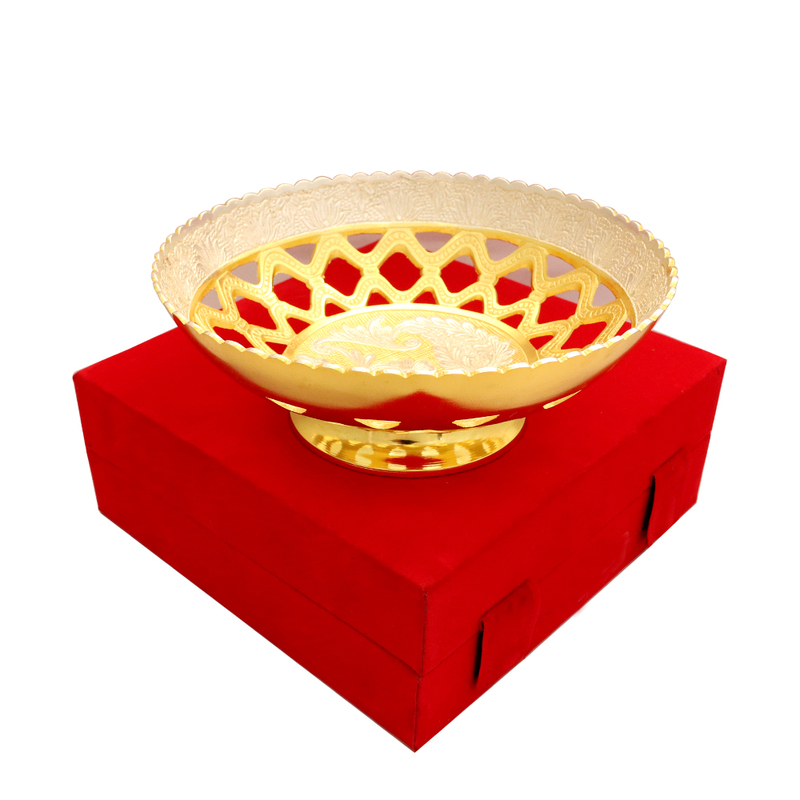 The exquisite finishing ensures that this dessert bowl finds its place gracefully in the most elegant of dinner tables. Show Less..